Boston Handmade: Explore Boston Handmade Member Shops on 1000 Markets! 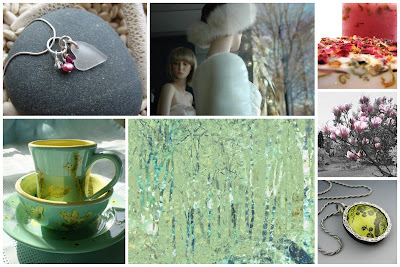 Explore Boston Handmade Member Shops on 1000 Markets! Soon after getting the tip about 1000 Markets, from fellow Boston Handmade member Besty Baker of Stonehouse Studio, I was quick to dive in and explore! Instantly, I was smitten by the look and feel of 1000 Markets... it has such a wonderful vibe and that "new car" smell that can get the juices flowing. I feel it attracts quality products in a well mapped out online venue. 1000 Markets is broken up into exactly that - Markets. With so many of them to delve into - it can become very consuming. To get your shop noticed you can either apply to specific markets that relate to your product or hope to be invited into one. This way - you can gain more exposure. It is free for artists/craftspeople to set up shop and add products. 1000 Markets takes a small percentage after the sale - before you even know it - their cut is taken before the funds hit your bank account. I love that! Check the main market forum to get all the information needed for setting up shop... trust me it is so easy. I love the sense of community within the "Markets"... you really feel like you are a part of something. There are forums and sometimes even blogs for each Market. Unlike Etsy - 1000 Markets uses Amazon Payments for processing sales. This is a much lengthier process for the seller than with Etsy & Paypal. I do like the way the "receipt" of sale appears in your seller account. From what I have heard - it is a fairly easy process for the customer as well. I really hope that when 1000 Markets starts advertising it really takes off. I see only good things for it's future and am glad I will be able to be a part of it! The following Boston Handmade members currently have active 1000 Markets shops with products for sale! Check it out... explore... and don't forget to shop! I'm still crazy about 1000Markets. I think it has huge potential and I love the way one can customized their shop. Rumor is that the "official" launch is sometime in April. Wow, thanks so much Betsy for the run down. You sold me. This is really great information. I need to start a 100 Markets shop for sure! !